See pricing on booking calendar. Discounted rates on specific days. Participants 42 inches tall - 47 inches tall must be accompanied in the water by a paying program participant 18 or older one on one. The weight limit for the belly ride is a a maximum of 250 lbs. For guests over 250 lbs we recommend the dolphin encounter. At Gulf World we have groups of up to 20 people. No jewelry is allowed to be worn during the program for the safety of the animals. A fast and exciting ride with the dolphin while you hold onto their pectoral fins; in the magnificent belly-ride. 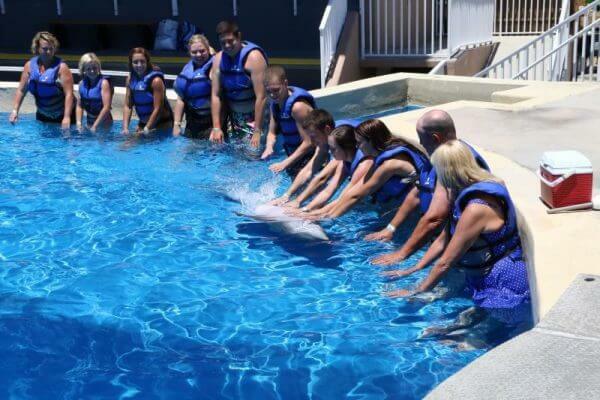 You will have the opportunity to interact with dolphins like you’ve never imagined. Action and Adventure! 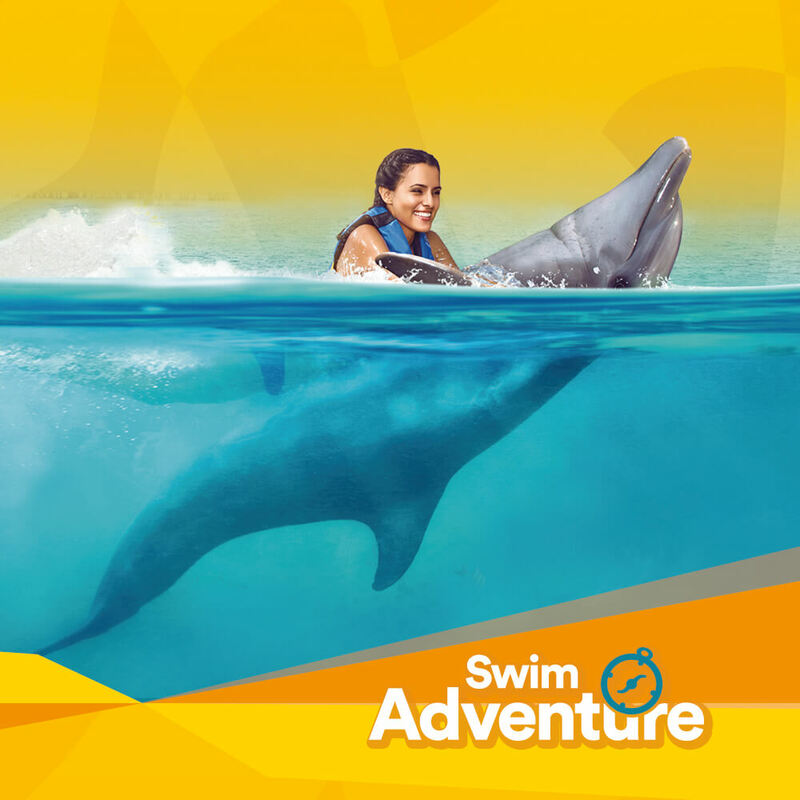 *Cancellation Policy: All sales are final and non-refundable unless cancelled by Gulf World Marine Park.Book Online!